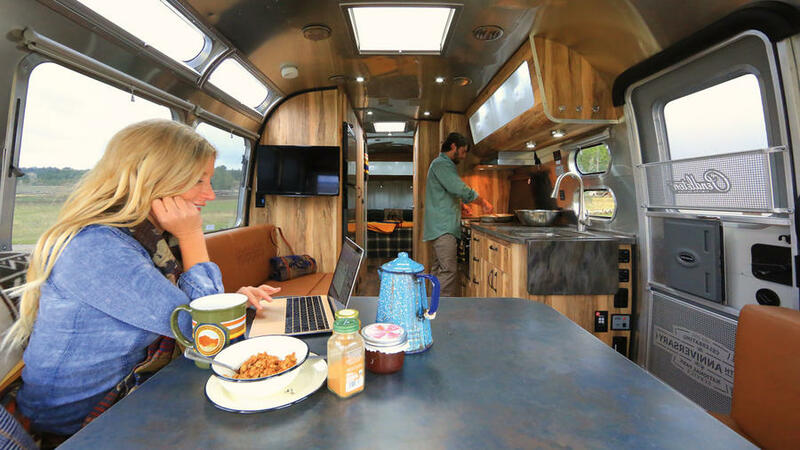 Let’s take a moment to admire this very pretty and exclusive airstream trailer, made in collaboration with Pendleton. With only 100 exact models out there, Airstream and Pendleton designed their own baby for the centennial celebration of the National Parks Service. And what an adorable child they made together! On the outside, a “custom badge, created to commemorate the National Park Service Centennial, stands boldly in white against the panoramic tinted front window.” Inside, the rear sports hatch opens wide and it’s screened? Imagine eating a croissant-and-scrambled egg breakfast, while smelling fresh mountain air at the same time. That’s the good life. Caro’s Ridge winery produces a tasty Chardonnay.